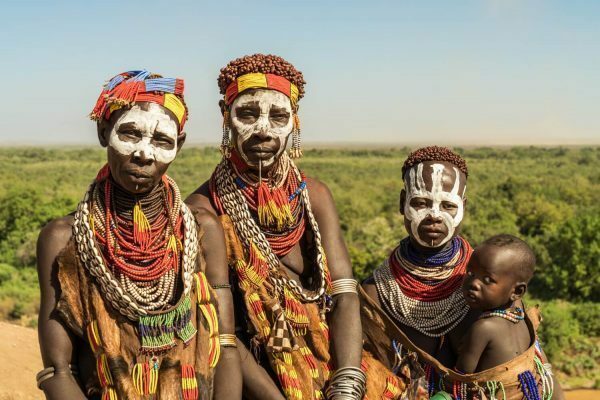 The Lower Omo Valley is one of the most fascinating regions in Ethiopia, and even the African continent, thanks to the cultural diversity of over a dozen tribes that coexist with varying degrees of peace. The valley is mostly a dry savanna expanse fed by the Omo River –one of their most important resources. Along the river and throughout the valley region, hundreds of small tribal villages pepper the landscape, each of them with their unique customs and even their own language. These tribes have lived here for centuries, and since the discovery of human remains dating back nearly 2.5 million years, the Lower Valley region has been declared a Unesco World Heritage site. 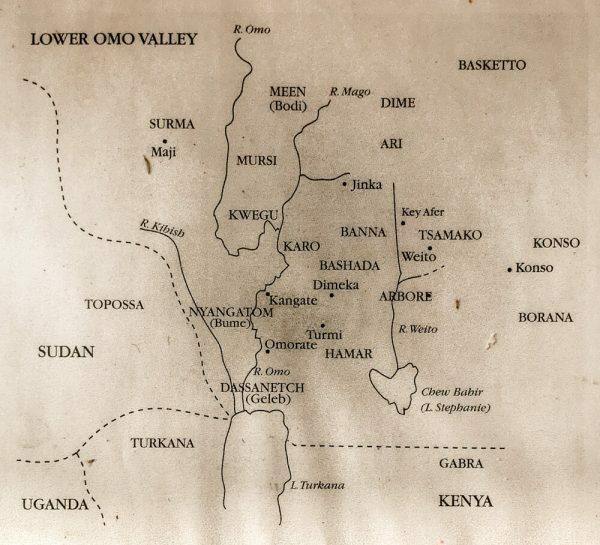 The South Omo Region (Lower Omo Valley) and a sample route with a few tribes. 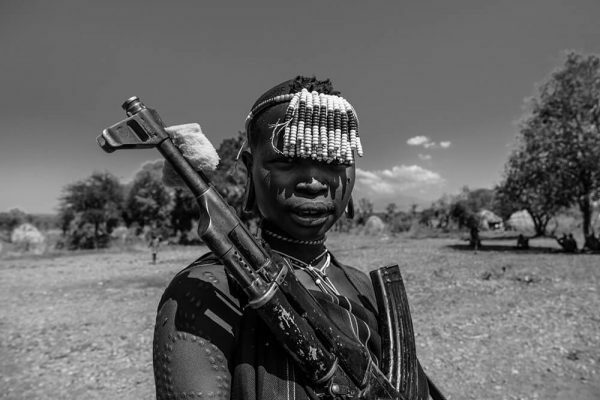 As remote and foreign as it seems, it is possible to visit the Lower Omo Valley and several of its tribes. Due to their location, this tends to be either an expensive, slow, or challenging trip – both logistically and physically. Below is a photo I took of a map that shows where each tribe is located (tribe names in capital letters and nearest town in small caps). This map could help your planning logistics. Tribes in the Omo Valley (CAPITALIZED) and the towns around them (bulleted and lower caps). 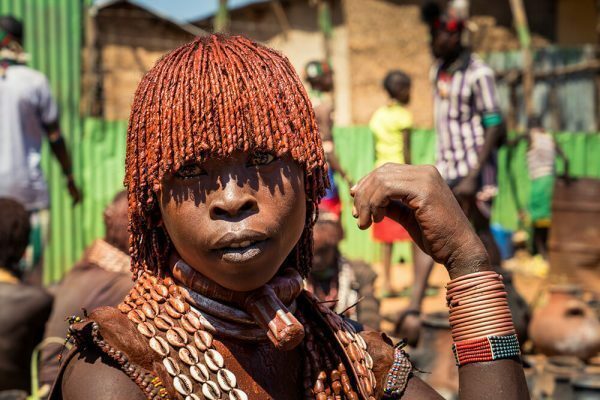 Before going, I recommend researching more about each tribe online or by picking up the Bradt Ethiopia Guide as it is one of the best guides about Ethiopia and the Omo Valley. Read about each tribe and see which ones interest you the most. All of them are different. Some are small, like the Karo and Mursi, which have a population of about 1,000 and 7,500, respectively. Others are quite big with over 250,000 people, like the Konso. Each tribe has a different dress and tradition. Some even follow a religion, including Islam and Christianism while others are animist. Some tribes are settled agro-pastoralists, while others are nomadic or semi-nomadic cattle herders. It’s just a very diverse world in this valley! It depends on how many tribes do you want to see and which ones as their accessibility varies. Considering you’re on a budget and going overland (public bus or private transport), it takes one day (eight hours+) to go from Addis Ababa to Arba Minch, where you can see the Dorze tribe. It then takes two hours to reach Konso, where you can see the Konso tribe, and then about five hours to reach Jinka, where you are finally in the Lower Omo Valley. So, it takes more than a day to reach Jinka by bus. Alternatively, you can cut that by flying to Arba Minch or Jinka. I’d say to give one day per tribe, and if they are close enough, you might be able to see two tribes in one day. But, consider that road conditions in the valley are not the best, so it might take more than what you think based on distances. I did five days in the region (flying to Arba Minch) and I saw the Dorze, Karo, Hamer, and Mursi. But, the recommended time is to spend at least seven days in the region (if flying) or at least ten days (preferably longer) if you’re doing everything overland. Another thing to consider when planning your time in the region is whether you’ll have private transport or will be using public transportation. Public transport in Ethiopia, especially in the Omo Valley is very uncomfortable, slow, and unreliable. Most of the time buses don’t leave until they are full, and if there’s not enough “traffic” from one town to the other, they just don’t leave at all. That’s wasted time. Private transportation is not the most comfortable either, but at least you will depart according to your schedule. Weather is one of the most important things to consider when visiting the Lower Omo Valley as it could make or break your trip. Many roads in the region are unpaved and ungraded, and some of them pass through river beds and streams, so your best bet is to visit outside the rainy season. During rainy days, some roads become impassable. The rainy season lasts from March to June, with the months in between being the wettest – so avoid visiting during these months if possible. The best conditions are at the end of June through September and from November until early March, when it’s the dry season. October tends to have some light rains that may or may not affect accessibility. Do You Need a Tour? It doesn’t matter if you’re a budget backpacker or a luxury traveler, at some point, you will have to hire at least a jeep and a driver to take you to some of the tribes. But, the question is, do you want to hire them for a full tour or just for the necessary parts. The benefit of hiring them for the full tour is that they will take care of all the logistics, transportation, and accommodation for you. For someone who doesn’t want to spend their time figuring this out, it is highly recommended. 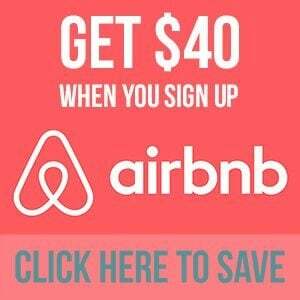 Of course, you will pay at least $150 per person (which was the cheapest I found as a solo traveler). If you’re more than one traveler, they might lower the cost a bit, but it will still be over $100 per day (most probably). While I was doing my research in person in Ethiopia, I saw most companies charging over $200 per day, but online most of them charge $250 and even $400+ per day for the same tour. Of course, they might offer better accommodation and a more comfortable experience, but you can find the same for less if you shop locally. I recommend walking around Addis Ababa (the capital city, where you will probably arrive), and hunt for prices there. Have a strong bargaining game because all of these tour operators raise their prices more than they should. 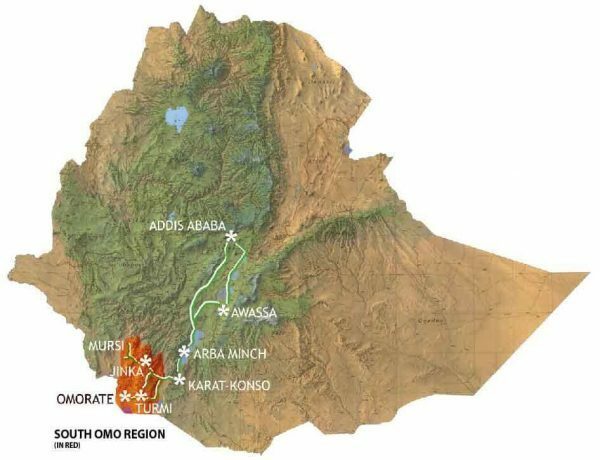 If you’re not convinced with the prices in Addis Ababa, you can take your chances down in Arba Minch, which is the biggest city close to the Omo Valley. Since they are closer to the valley, some of the operators tend to price their tour slightly cheaper. Tour operators in Addis will tell you there are no tour operators in Arba Minch, but that’s just a lie to make you book with them. Having said that, there’s more competition in Addis, so you might have more luck bargaining with them. Alternatively, you can book in Addis and arrange to travel on your own from Addis to Arba Minch and then start the tour from there. You can either fly or take the bus down there, which takes approximately eight hours and can cost from $10 to $20, depending on the bus. Another option is to fly to Jinka, which is the capital of the Omo Region yet a relatively small town. It is currently the only city in the Omo Valley with an airport. When I was at Jinka is saw a few tour options, but not nearly as many as in the previous cities. The airport opened in 2017 (after I visited), so I wouldn’t be surprised if there are more tours now. 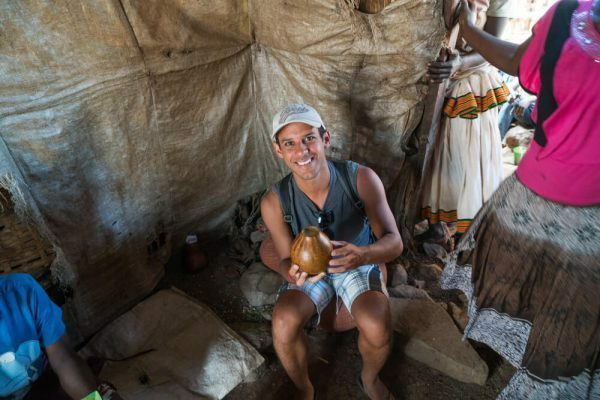 Should you not want to go through the hassle of looking for a tour there, I can recommend Intrepid Travel as they have several affordable tours in the Omo Valley and Ethiopia in general. Before you hire either a full tour or car and driver, at least, you should tell them which tribes you want to see and what ceremonies you don’t want to miss. For example, do you want to see the bull jumping ceremony at the Hamar tribe? The whipping of the brides? Do you want to see the tribal markets? Tell this to your guide as they know which days each market operates and when each ceremony happens. These will greatly influence your itinerary. Is the vehicle a 4×4 or a minibus? A 4×4 is recommended for the road conditions, but it might be more expensive than a minibus. Is the vehicle permitted to drive in South Omo? All private vehicles need a written letter of authorization to visit South Omo. Also, do they have a spare tire? Is food included? If so, breakfast, lunch, dinner? Are the village fees and national park admission included? Are the ceremony fees (like the bull jumping) included? Are the local guide tips (in each village) included? Can You Go Independently to Save Money? I chose to do a hybrid independent/hired trip where I paid $150 per day for a driver/guide, transport, accommodation, and village/park fees, but I made my way solo to Arba Minch and paid for my meals. It was my cheapest option (as a solo traveler) with the knowledge I had, but now I know it can be done cheaper. If paying over $150 per day is not feasible, there are ways you can do it cheaper, but it will require more work from you, and it’ll potentially be a challenging trip. It is possible to do this trip independent with the occasional “day trip” where you’ll need to hire a jeep and driver/guide to visit a specific tribe. 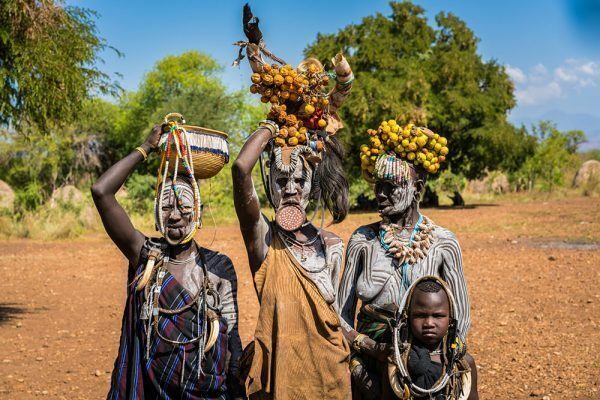 Instead of flying to Arba Minch, I recommend flying to Jinka, which is in the Omo Valley. If you skip Arba Minch, you’ll be skipping the Dorze Tribe, but honestly, of the four tribes I visited they were the least “tribal” to me. Alternatively, if you have time and want to save money, just take the bus all the way from Addis Ababa to Jinka (probably stopping and switching buses at Arba Minch and Konso). Once in Jinka, roam around the streets and look for a guide/driver for a day trip. You’ll need one to enter the Mago National Park to see the Mursi. Don’t be surprised if you get asked if you “need a guide” while having dinner or walking around (as it happened to me), so I’m pretty sure you’ll find a guide pretty quick. For the Mursi, you’ll still pay like $100-$130 for the car/driver, so if you’re traveling with more people, you can split that cost. 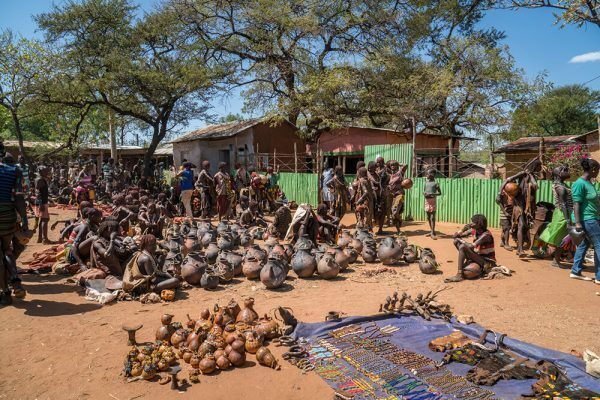 You’ll visit one or two Mursi villages and then spend some time at the Jinka market. From Jinka you can also see other tribes in the region, like some Hamar in Key Afer, about 40 minutes away. Spend as long as you need in Jinka and then take a bus (private or public, if they are operating that day) to Turmi. In Turmi, you will need to hire another driver for a day trip to the Karo Tribe as they are near the Omo River. You can also do a separate day trip to the Dassanetch. These full day tours should cost you about the same as the Mursi one. The Hamar tribe lives in Turmi, so they are easy to see, and if you want to look at their tribal market, you can go to Dimeka by bus too (no more than 40 minutes away from Turmi). Should you not want to continue roaming in the area to see other tribes, just return to Jinka to fly back to Addis Ababa (or return by bus). If you have trouble finding a tour operator or driver, just walk to any hotel and ask them. They all know a driver that either works with them or that they’ll recommend. If You’re Flying, Try This! If your international flight to Ethiopia is with Ethiopian Airlines, then you’re in luck! Ethiopian Airlines gives all its international passengers a generous discount on their domestic routes as long as they show their international boarding pass when booking in one of their local offices or at the airport. I’m not sure what percentage is the discount, but I believe it is equal or similar to local price (definitely more 50% off or cheaper than what I saw online). This discount makes flying quite accessible and in some cases even less expensive than the bus. But, you must book in person and show your Ethiopian Airlines international boarding pass when purchasing. If you haven’t booked your international flights, I recommend checking Skyscanner and Kayak to check for the cheapest flight options. If you go the semi-independent route, you’ll need to find your own accommodation. Unfortunately, most, if not all, budget places in the Omo Valley are not online, so you’ll have to look for your accommodation once you get there. This is pretty much a “you get what’s available” situation. Just walk around and go door to door asking about availability and prices. Barter if you need to. From experience, you shouldn’t expect much as accommodation there are basically the bare minimum – almost jail cell looking. Some rooms on the lower end just have a hard mattress bed with a mosquito net and a filthy shared bathroom which could literally be a wooden shack on the patio with a hole on the ground and a shower. These you can find for $2 to $6 a night per room. Something a bit more comfortable might range from $10 to $15 a night and might include a private bathroom and even A/C and a TV. There are a few upscale hotels in the area that you might be able to book online, but these will cost you $50+ a night, at least. Even cheaper is the option to camp, which is possible in many places. You can take your tent and camping equipment and save money on accommodation. If you have a driver, he will take you to some pretty good restaurants, but should you be on your own, you’ll find it easy to find food in any town. I managed to find some local restaurants in bigger cities, but in smaller towns like Turmi, I ate at hotel restaurants since I couldn’t find much around. Food is pretty cheap. I usually paid between $2 and $5 per meal. Try the Injera – it is one of their traditional dishes. Tasting the locally “brewed” (warm) beer at the Konso Market. No, it doesn’t taste like beer. Just because you’re going independent doesn’t mean it will be cheap. 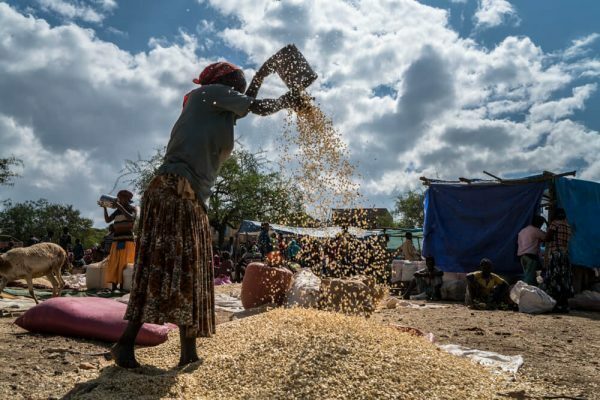 Once you’re in Jinka and Turmi, operators know there aren’t as many options there as in Addis Ababa or Arba Minch, so sometimes they charge way more than they should. I know of travelers who have gone the independent route and ended up paying more than what a tour could have cost them. Be smart, and again, barter as needed and don’t be afraid to walk away. Figuring out the pickup time and location for the minibus can be confusing. Don’t be afraid to ask locals, as they will gladly help you if they know. Travel with more people to split transportation/driver and accommodation costs. If you don’t know anyone and are flexible with time, you can tell the driver or tour operator that you are interested in going to “X” tribes and that if anyone shows up, you’d be happy to travel with them. Alternatively, when in Addis Ababa, stay at a hostel and ask people around. 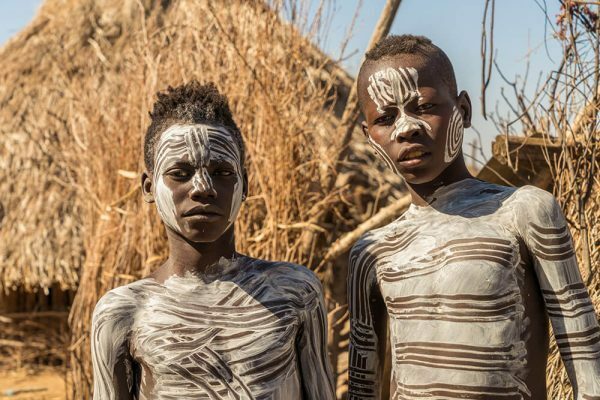 Most probably they will go to the Omo Valley at some point, so you could coordinate together. I stayed at Mr. Martin’s Cozy Place in Addis Ababa, where I chatted with several travelers who stayed there about traveling to Omo. Unfortunately, we didn’t match on our plans. Know that some tribes like the Karo and Mursi are mostly dressed up to put up a show for your pictures. They know tourists visit them because of their looks. While this is true, these are not costumes; it’s their real traditional garment. When taking pictures of the tribes, you must offer something in return. Consider it a “photo fee.” I gave them 5 Birr (around $0.25). If you have ten people in one picture, that’s 5 Birr per person. Also, if a mother poses with her child, that’s 5 Birr for her and 5 Birr for the baby. I think I spent like $25 in pictures – between all tribes. As my guide recommended, it’s best first to walk around and see the village without your camera. Once you (and them) are more comfortable with being there, then you can ask if they are ok having their photo taken. Ethiopia is very safe, so don’t feel scared if you’re the only foreigner in the area, even if you’re alone. While there might be a bit of a language barrier with some of the tribesmen, now and then you will find people who speak at least basic English. If you have a driver, he will be able to translate for you. Outside of the Omo Valley, especially in towns and cities, most people speak English. The short video below shows a few clips from my time in Ethiopia, including the Omo Valley. I know looking for a guide and tour while on the ground can be a time-consuming hassle. Should you wish to avoid that, I do recommend contacting my guide, Debebe, as he was quite helpful and a good guide overall, and better yet, he’s from the Dassanetch tribe, so he can communicate with several tribes. He doesn’t have a website (that I know of), but you can contact him via email: s.debebe (at) yahoo (dot) com. Or, as I recommended above, you can go all pre-planned with Intrepid’s tours. With Debebe (my guide, to the right) and Muri from the Karo Tribe. Before going to Ethiopia, I highly recommend picking up a Bradt Ethiopia Guide to learn about the region and each tribe in more detail. 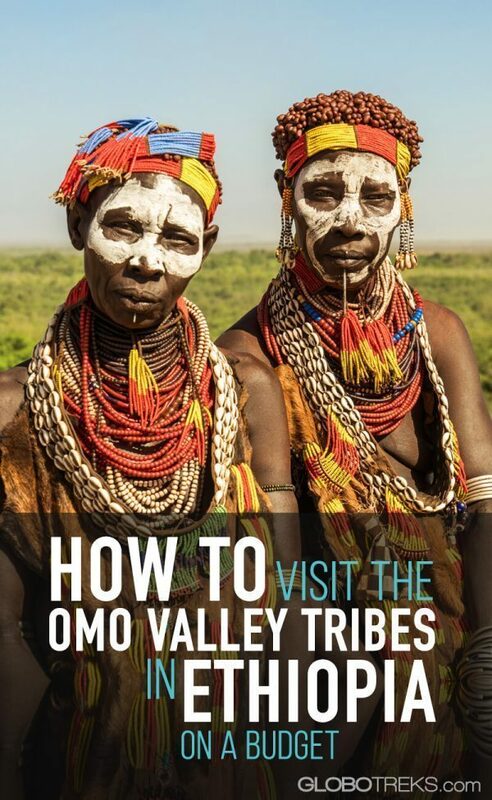 This is the best Omo Valley guide on the market, and I highly recommend it. Not only will it help you plan your trip, but you’ll enjoy your experience more since you’ll know more about each tribe and what makes them unique. It seems like an amazing experience! I would love to visit Ethiopia but I am not sure about its safety when traveling solo. Did you find many woman alone? Also, this seems like a very expensive tour, $100 per day seems like an exorbitant price! Honestly, I didn’t see many solo female travelers (saw a few, though), but in the general context, I didn’t see many other travelers either. Ethiopia is not that big in the travel industry, so it’s not common to be surrounded by dozens of travelers all the time. But, I don’t think it is a dangerous country for solo female travelers. On the price, while I do think it’s expensive, unfortunately, that’s the cheapest you’ll find if you do it as a solo traveler, with someone guiding you. You can save more money if you join other independent travelers so you can share some of the expenses. Hi Jenn, I was travelling Ethiopia in october/november with a friend. We did the ancient route. At this moment my bags are packed to travel to Ethiopia again, going south and alone this time. I don’t expect any problems travelling alone as a woman. But I trust the guide/driver we booked in october who will be my guide/driver for the next two weeks as well. You can check out his over-blog: gedionfisseha.over-blog.com. 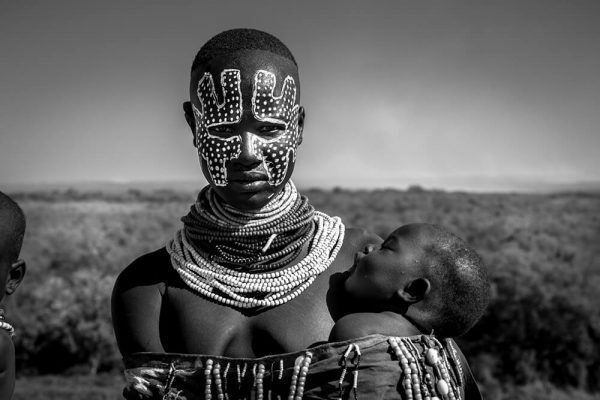 hi, im a woman, planning on going solo as well , to the omo valley, that blog didnt open, any other contact available? I admire you desire to mingle so deeply with the locals Nobert. I have been to Ethiopia twice to Addis on a workshop and to the highlands to visit the Geladas. 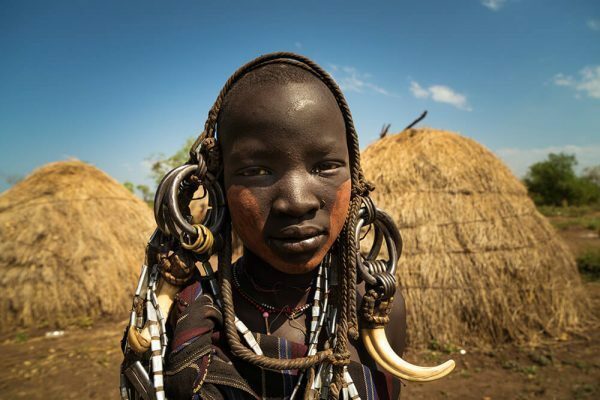 I never thought these indigenous tribes existed in Ethiopia though. Thanks for sharing. Really enjoyed reading your guide on Omo Valley. We are 4 women from Australia and we want to visit Omo tribes. Does Debebe have his own 4×4? Does he operate out of Jinka or Arba Minch? Would he arrange lodging, food, ceremony fees, etc? I didn’t want to bombard him with questions if his English is basic. Would 4 of us travel comfortably in his vehicle? Is May too wet to visit the area? Thanks for any advice and comment you have. Thanks! Yes, he has his own 4×4, but, it’s a bit old, so don’t expect the most comfortable ride (doesn’t have A/C). Other, bigger and more established companies can offer you newer 4x4s with A/C, if that’s something you’re looking for, but of course, they tend to be more expensive. The 4 of you will fit, like in any 4×4, but I’m not sure if I’d use the word “comfortably.” I mean, the space is there, it’s just long rides on bumpy roads. He also works with a tour company, so should his non-A/C 4×4 not be good enough, you can probably mention that to him and he might be able to get a newer 4×4 for you. Yes, he arranges everything for you (lodging, ceremony fees, etc), but you need to tell him what you’re looking for in terms of ceremonies, tribes you want to see, and the level of comfort on your accommodation. Food is not included (or at least not with what I paid), but he will take you to some really good local restaurants. Since I wanted to go the cheapest possible (since I was solo), I accepted everything he offered on the lower end. Debebe speaks English pretty well, so I would recommend to ask him any question directly, especially when to visit (regarding your May question). Amazing Article !! Loved it, I’m in Addis now, leaving this weekend to other countries, but your article is making me booking a return ticket to see some of these wonderful tribes. I spend some time with tribes in Namibia, and was priceless moments. Again, just wanted to say your article is helpful, and is really showing the beauty of this part of the country. Thank you for sharing !! 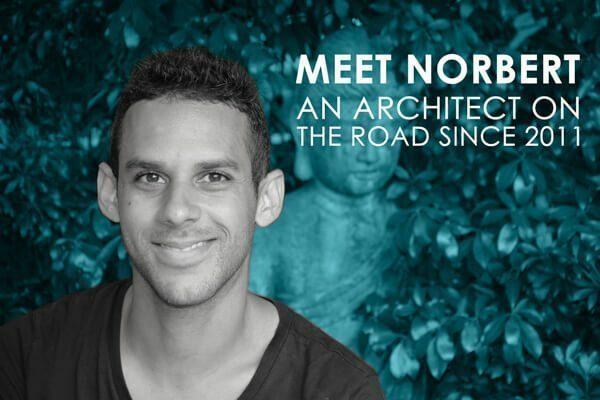 Great article, I’m planning a similar trip and I’ll probably contact Debebe soon. Quick question, during your five days in Omo Valley, did you have any trouble charging your devices? Camera, phone and what not? Also, did you get any cell signal for your phone? Thanks to your guide Debebe became quit poular.I just wanted to share my experience. Me and two other friends are going to Omo V. next month.I tried to arrange a trip with Debebe.I believe he seems to be fussy at this time.We shared a few emails. A few days later without any reason he’s stop to answer.It is a warning for another travellers. Of course, I don’t know how your communication flowed, but just saying this in case it’s just a few days delay. Hope it all goes well on your trip! You’re going to love Omo! I am booking a trip for myself and Family members. This looks like a great trip. Since there isn’t too much info about travel tips around Ethiopia how did you figure out your plan before arrival? I am trying to do some volunteering but everything I see is VERY expensive($2k+). Also, how did you book through the company for your experiences. This seems amazing. Thanks for your help!